Every spring Swedish high street brand H&M release a new collection of ethically-made pieces as part of their Conscious Exclusive collection. This is led by H&M’s Conscious Foundation which aims to drive long-lasting positive change for impoverished communities. H&M designers created the pieces using sustainable materials such as hemp, silk and recycled linen, some of which could be used as environmentally-friendly wedding dresses. 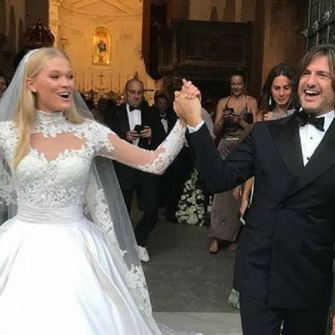 The prices are higher than H&M’s usual ‘fast-fashion’ prices but would still be considered low-budget by brides-to-be in comparison to the cost of an average wedding dress. The structured waist-cinching white gown pictured below costs £149.99. The Victorian-style lace maxi dress retails for £299.99 and would suit a boho bride. A number of other dress designers have launched environmentally friendly labels. Hand spun, hand-woven, and hand-made from beginning to the finished product, Sanyuktsa Shrestha combines these elements with figure flattering silhouettes. Hand loomed bamboo fibres and organic cottons used in her dresses are sourced from well-paid Nepalese villagers and local women. Every other fabric comes from certified ethical and fair-trade suppliers in England. Prices range from £1,500 to £4,000 for a made to measure wedding dress. The collection is stocked by Forever Bridal Boutique, Belfast and Little White Dress, Dublin. 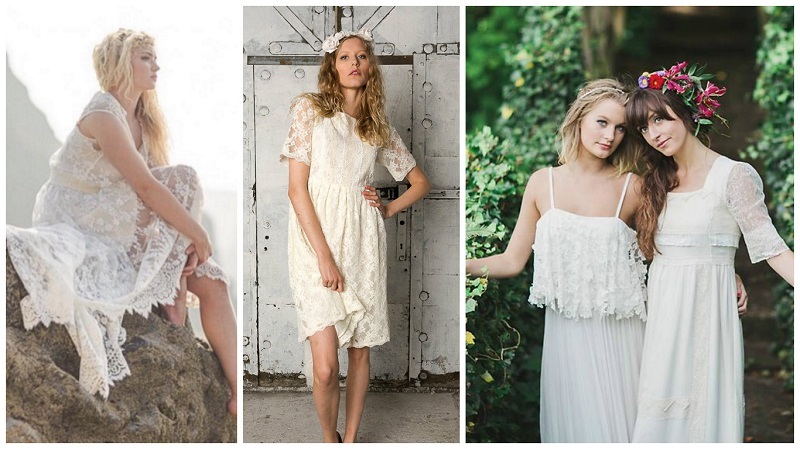 London-based eco-luxe designer Minna Hepburn does a range of affordable designer gowns for alternative brides. Minna uses recycled, locally-produced textiles and her 60+ collection of wedding dresses, tops and skirts cost between £190 and £650. 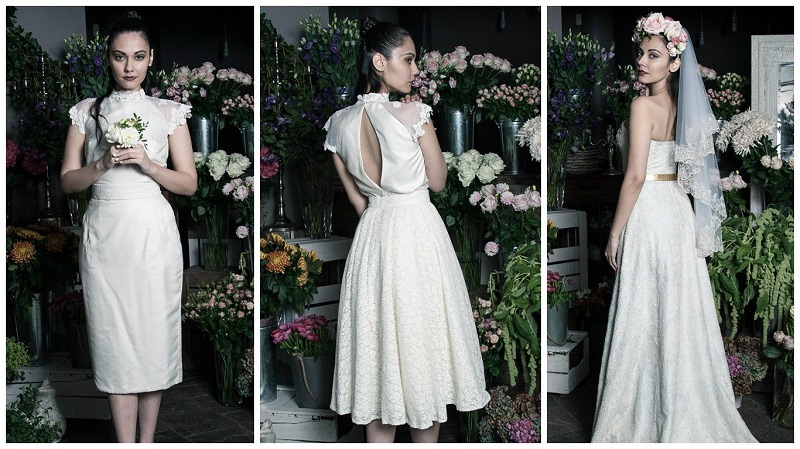 Bridal label House of Tamman produces ethical wedding dresses which are inspired by 1930’s fashion. The London company ensure that all fabrics, dyes and processes are environmentally friendly and sustainable and have even developed their own fabrics using wild peach silk, bamboo satin and organic cotton satin. Prices range from £300 to £1100. 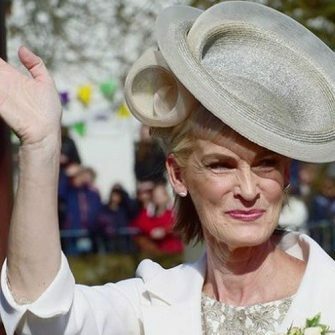 You could also go the eco-friendly route by buying a second-hand wedding dress. Oxfam Bridal in Dublin and Bangor, and St Vincent De Paul in Dublin all sell pre-worn wedding dresses. Barnardos Bridal in Dun Laoghaire and Wexford stock brand new bridal gowns which have been donated by Irish designers and retailers.